In this post we cover the last two of Jim Steranko’s three issues of Captain America, in which he crafted the first significant “Death of Captain America” story (even if it was very quickly resolved) and, in the process, restored Cap’s secret identity (which Sternako thought diminished his value and stature as “the quintessential symbol of patriotism,” as he wrote in his text piece at the end of Marvel Masterworks, Captain America Volume Three. Also, in issue #112, we get Jack “The King” Kirby’s last work on the character he created with Joe Simon until he (Jack, not Joe) returned in 1976 to write and draw the title for several years (from issue #193 to 214, plus Annuals #3 and 4 and a “Bicentennial Battles” special, all collected here). Issue #111 opens with Cap receiving a cryptic message at a penny arcade, a surprise attack from Hydra, and a bit of foreshadowing that hints at the true purpose of this story. But the next two pages—showing Bucky’s reaction to being drugged by an envelope sent by Hydra before they abduct him—are even more stunning, and have become synonymous with Steranko (and homaged often). Once Cap realized what has happened, he goes into a rage, motivated as much by his guilt over endangering yet another partner as concern for Rick (as shown in a more traditional but no less beautiful double-page spread). At the end of this initial battle with undercover Hydra agents, Cap realizes what kind of people he’s up against, he regrets both taking on Rick as a partner, and revealing his secret identity to the world. After he arrives at Hydra’s headquarters and defeats the robot “Mankiller,” Cap hears Rick’s warning and looks down to see multiple gunmen taking aim… and leaps for the water below. The final page says it all. Not only do we get the first “death of Captain America” storyline—significant enough to get a remembrance issue next and a full-blown superhero funeral in the issue after that—but also a solution to the secret identity problem. But that wouldn’t matter if Cap were actually dead… right? Most of the issue consists of recaps of his adventures from the 1940s and 60s, based on the original stories, and is a wonderful showcase for Kirby’s skills. Just look at this splash! After finishing his oral history, Tony signs off and swears vengeance (to Cap’s smiling picture, which is a silly juxtaposition if you ask me—it’s almost as if Cap is laughing at him). Little does Tony know that this is only the first of many times he will say a “final” goodbye to his old friend! After Kirby’s final issue (for now), Steranko returns with his own, full of iconic images (as were his previous two issues). As issue #113 opens, his secret identity gets as much attention as his death itself. While Hydra is satisfied that their foe is gone, Cap’s friends, colleagues, and lover are appropriately more somber. 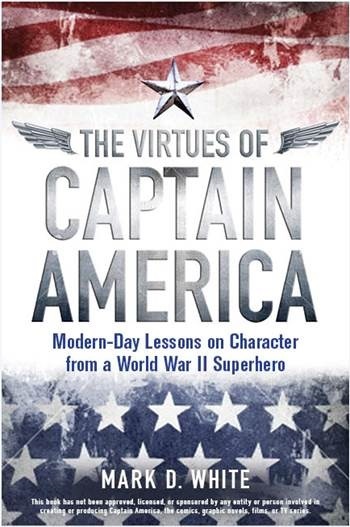 A smaller, more private service than his later public funerals would be, but touching nonetheless (although I would have liked if Nick had said more about Cap’s specific virtues—I’m trying to write a blog here!). …and someone makes a dramatic return to save him—with a “nerve-searing roar of defiance,” no less—in another nerve-searing double-page spread. Cap and Bucky Rick battle Hydra, giving us yet another legendary Steranko page, complete with delightfully over-the-top exposition about what Captain America represents. Our new heroes defeat Hydra (after Madame Hydra fires a missile at them that they dodge and send back to her), after which we get another classic double-page spread to close out the issue, which I’ll present in all its glory before focusing on two bits with dialogue. At the left and right edges, Cap explains how he faked his death… and why. Although his logic seems a bit weak to me—causing an incredible amount of suffering and distress just to erase an identity he didn’t use much anyway—it did give us an incredible story with even better art, and a new status quo for the character going forward, which will be addressed in the very next issue.